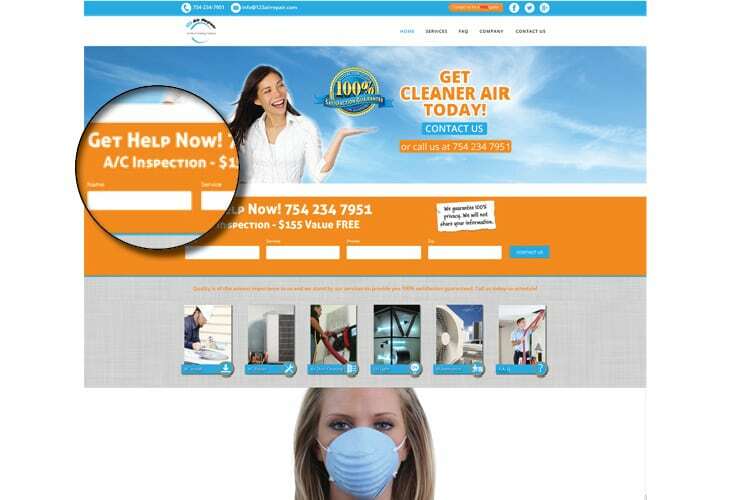 123airrepair is a website designed to help customers get easy access to Air conditioning and related services. The site is well structured and welcomes the user with vivid sliding images representing the services provided. 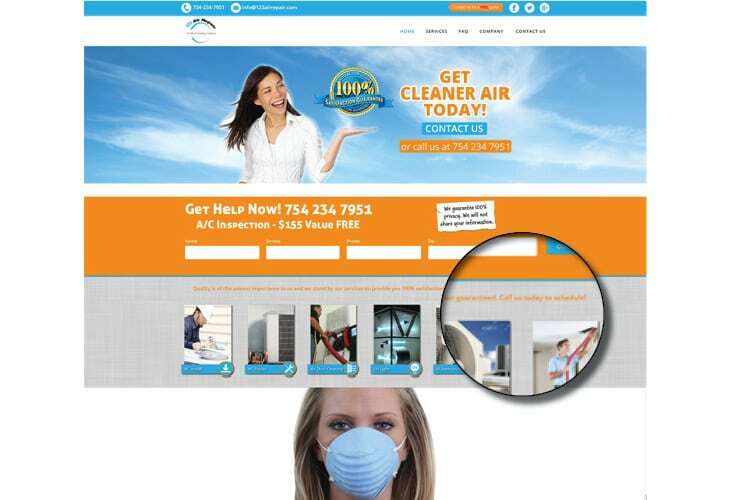 The attractive colors and the focus on a call to action centers are the highlighting features of 123airrepair. The site focuses on getting the customers subscribed by starting out with a brightly colored email subscription form. 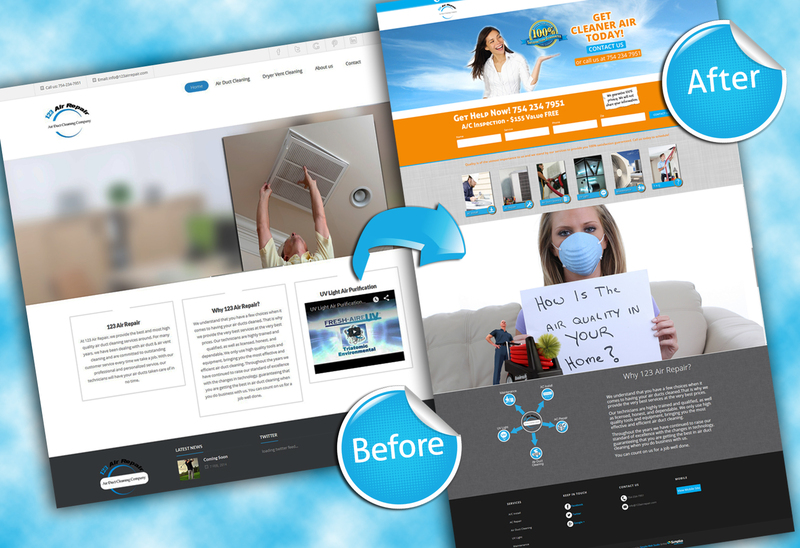 The site makes great use of images to lead to the other subpages within the website, such as AC installation, FAQs and others. The homepage is well designed for effectiveness. The contact information is made available in several locations on the page leaving no chances for the user to miss the information. 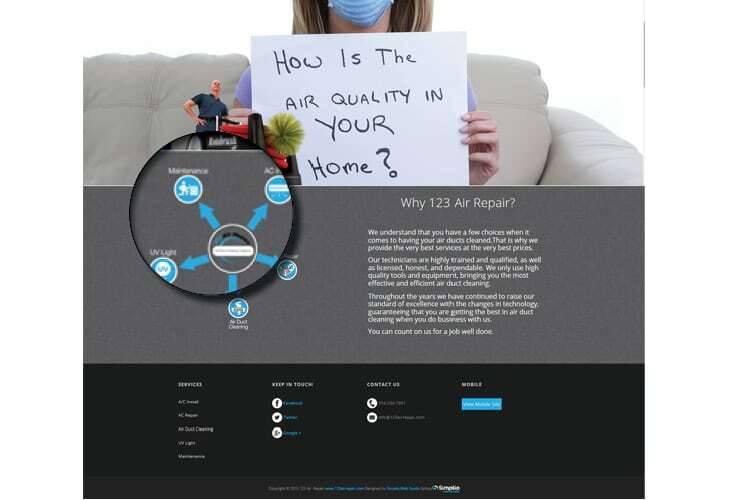 It also has a well-structured and informative content explaining the various services provided by 123Airrepair and justifies its cause. The content is brief and up to the point making it perfect. The contents on the sub pages are also effective in informing the customers of the various services they can avail from 123Airrepair. The site also includes social media integration by providing Facebook, twitter and Google+ buttons at the bottom of the page. It has also has a mobile site that has a mobile specific design focused on collecting customer information.